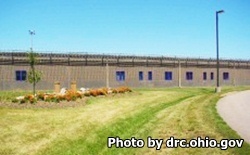 Belmont Correctional Institution is located in St. Clairsville Ohio. The facility houses mostly minimum and medium security inmates. The current capacity of Belmont Correctional Institution is 2,771 offenders. Inmates housed here can receive re-entry programming, have access to library services, and can receive an adult basic education and obtain a GED during their incarceration. Additional religious worship services and biblical studies are available to all inmates. Select inmates at Belmont Correctional Institution are allowed to participate in community service work that includes creating decorations, banners, and signs for many nearby high schools, working in the collection of food donations and recycling, creating ornaments for the elderly in a nursing home, and even training dogs through several local animal rescues. Inmates can take vocational and apprenticeship courses in plumbing, horticulture, barbering, HVAC, carpentry, automotive repair, landscaping, and custodial/building maintenance. Visiting at Belmont Correctional Institution is by appointment only and occurs on Wednesdays, Thursdays, Fridays, Saturdays and Sundays in two sessions. The morning session is from 7:45am-11:15am and the afternoon session is from 11:45am-3pm. Visitors for the morning session must arrive by 10am on weekday visits, and 9am for weekend visits. Visitors for the afternoon visits must arrive by 1:30pm. You can schedule your visit up to thirty days in advance by calling 740-695-8138 between 8am-3pm Wednesday-Sunday or you can schedule a visiting appointment by emailing by DRC.VisitationBECI@odrc.state.oh.us When requesting a visit through e-mail include the inmate's name and ID number, three choices of a date and time to visit, and the name of all the visitors who will be attending the visiting session. Inmates are allowed a maximum of four visitors per visit. Belmont Correctional Institution also participates in video visitations from 7:30am-10:30am, 12:30pm-3:30pm and 5pm-8pm. Video visitation is offered through JPAY for a fee. You must sign up for an account and schedule your visit through JPAY at least 24 hours in advance. Video visits are 30 minutes in duration and may be recorded and monitored.